Today we talked about Habits of HEALTH in Home EC class. So many people think of deleting things from your life in order to get healthier, but I say, “Just add some more good stuff“. Here are two ways to add healthy habits to your life. Add WHOLE FOODS to your diet. What is a Whole Food? It is simply something that is meant to be eaten the way that God intended, like an apple. Apple granola bars or Apple Rice cakes may not even have any apple products in them. If there is a foreign ingredient listed on the back of a package, don’t eat it! Preheat oven to 400. Mix dry ingredients together while you melt the butter and honey on the stove. Once the butter is melted, poor the honey butter mixture with the dry ingredients. 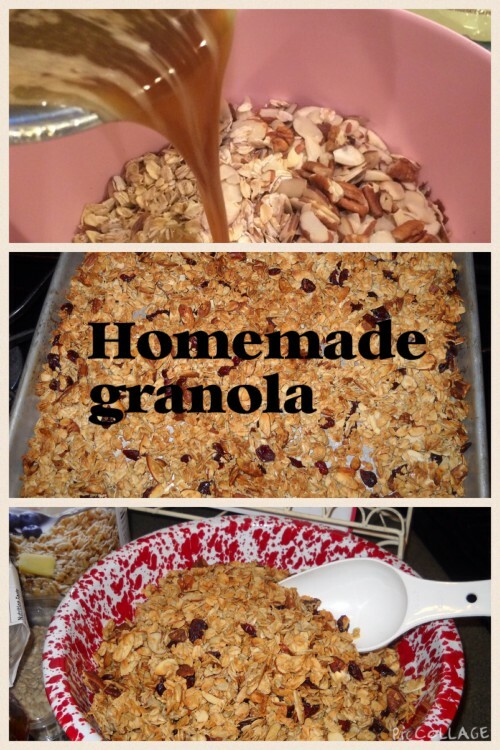 Add dried fruit and coconut if desired. Mix well and poor onto pan (I use parchment paper for an easier cleanup). Bake for 10 minutes. Stir and bake another 4-5 minutes. Let pan cool on cooling rack completely before stirring. Enjoy! Two of my favorite things in the world are hiking and nature, so we decided to take a short hike today for Home EC. While on our hike, we stopped by a flowing creek to take some time to draw and sketch. I have kept a nature journal for years, but I wish I had time to draw and write in it more often. 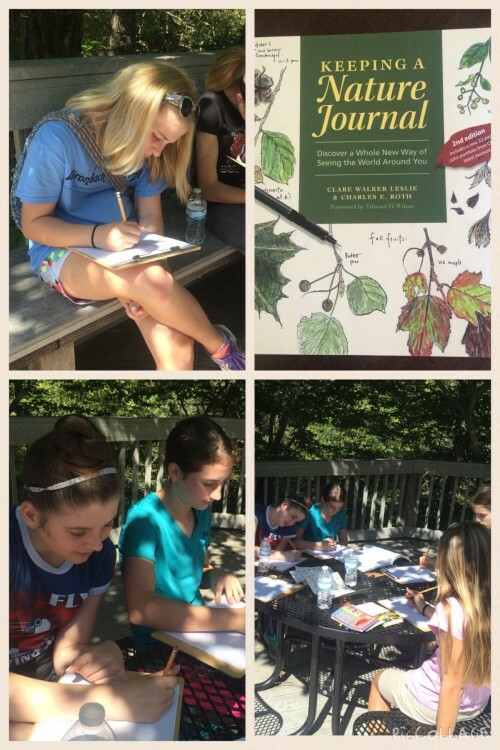 While on our hike, we pulled out the clipboards, pencils, and nature guides and began to draw. 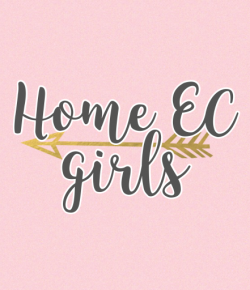 I enjoyed watching the girls get creative. 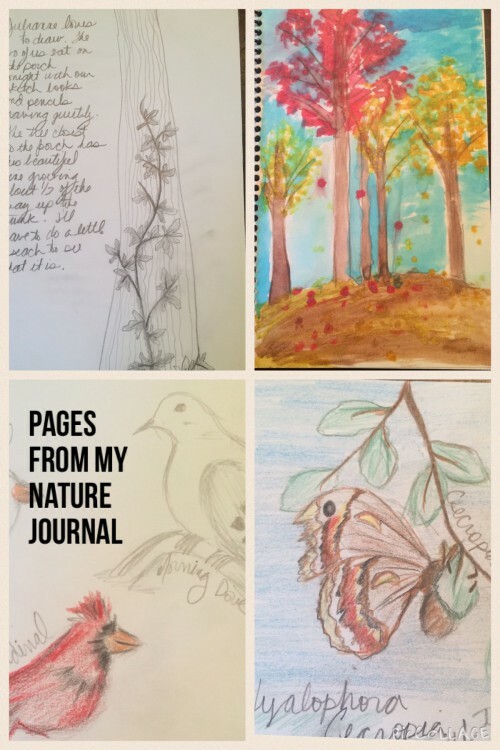 If you have never started a nature journal, I would encourage you to start one today. I always feel closer to God, my creator and savior, while out hiking and copying his creation to paper. I have listed a picture of my favorite nature book that inspires me in my drawings. When my kids were smaller we would often packed a lunch, and took our journals with us on our many hikes. Here are some pictures of our hike today. I hope it encourages you to enjoy this beautiful fall weather by being active and outside!